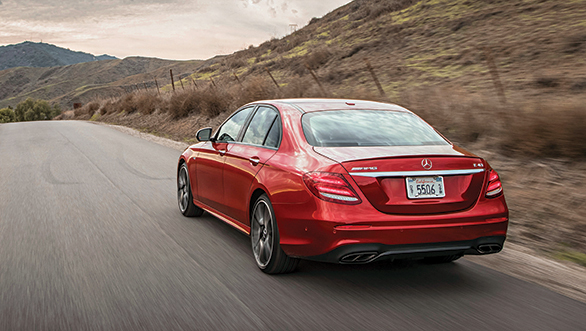 Early last year Mercedes-Benz expanded its E-Class range with the AMG-powered E43 4Matic. Unlike its sibling, the E63, one of the most badass cars on the planet, the E43 is more of a reformed car. 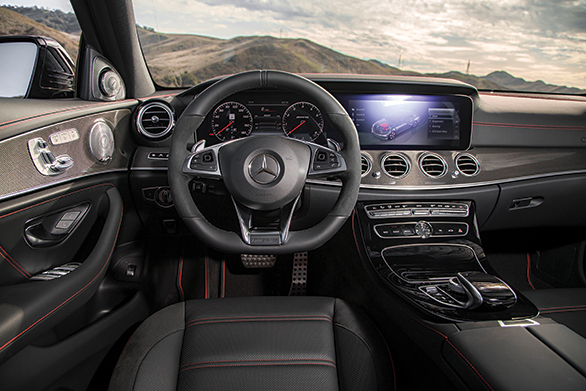 In a sense, it is a kind of a gateway to the bigger, badder world of the full-blown mad, mad E63. But it is more attuned to those who may not be able to stomach that excess. Under the hood is a 3.0-litre V6 that's been kneaded to deliver 406PS of max power courtesy of a twin-turbo intake with upgraded software systems. Those changes bump the stock V6 petrol engine's output by 34PS. Max torque also gets a little bump to 520Nm. 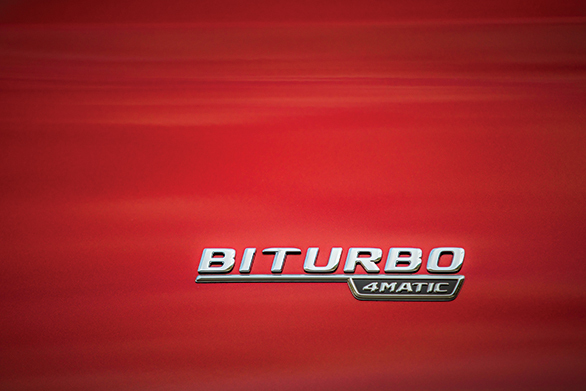 The bump means you get a fairly powerful indulgence - this car is quick to accelerate to a 100kmph. Mercedes-AMG claims it will cross that mark in just 4.6 seconds - sportscar territory though top speed is restricted to 250kmph. It's not faster than the Audi S6 nor do I think it will be faster than the forthcoming BMW M5, but those cars would more directly compare to the E43's older sibling. Either way, it's a quick motor that works best in Sports or Sports Plus mode. These two driving modes also quicken the shift factor, and running through the 9-speed of the 9G-Tronic automatic transmission isn't too bad. Shifts can be actuated by either using the stick on the centre console or the paddles behind the steering wheel. 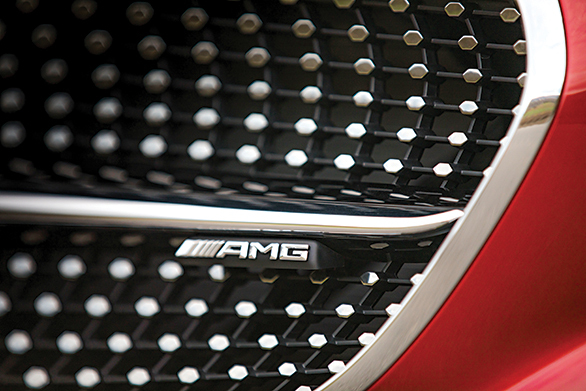 The transmission is a quickshift version fettled by AMG to complement the engine's character. What makes this car interesting is that with it you will never ever feel underpowered in a stately executive sedan, a fact that sometimes disappoints in the rest of the 4-cylinder-powered cars. The E43 has some very clever electronics determining how the car behaves through five driving modes - Eco, Comfort, Sport, Sport Plus and Individual. In Eco mode, the engine does some clever stuff to improve mileage characteristics. Between 60kmph and 160kmph, when the driver releases the accelerator, the electronics disengage the clutch and decouple the engine from the powertrain. Engine speed also drops down to idling speed. In Sport and Sport Plus, however, engine idle speed increases to provide faster acceleration from a standing start. What you don't get in the E43 is the full-blown God's voice exhaust note like the cataclysmic roar of the E63 or the C63. Instead, the E43 sounds more refined and mature without having to go Dolby Surround! It's still inspiring, goading you to step on the gas harder, but definitely quieter in character. The E43 also gets a sportier 'Air Body Control' air suspension system that improves agility. The E43 feels more taut and precise through the corners, and though the roads we drove on in Arizona had very few corners, on the few we hunted down, the E43 felt confident. The new suspension is standard fitment on the E43 and offers a choice of damping options spread between Comfort, Sport and Sport Plus, the latter relinquishing some of the traction safety aids to driver control. And there's enough torque to kick the rear end out, even though torque spread has a 31 to 69 split front to rear. In Comfort mode, the E43 still feels a bit stiff - don't expect the comfort of the standard E-Class but nonetheless it's not as bruising as the E63. The nice bit is that even in Comfort mode, the E43 stays well-planted at high speeds and through the corners. 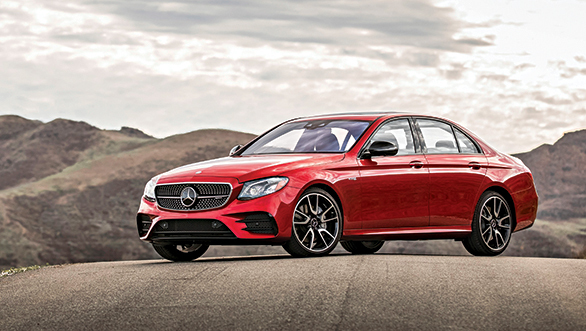 There's enough confidence thanks to that well set-up chassis that has been tuned to match the standard E-Class and not the harsher E63. The steering is also tuned to deliver more precision and weight worthy of a sportscar, and it's quite direct especially in Sport mode. Most of the E43's dynamic confidence also comes from the sticky tyres - our test car was shod with the 245/35 front and 275/30 rear tyres. These low-profile tyres will make their way to India as well and it can only mean one thing that on our roads, ride quality is going to get iffy. 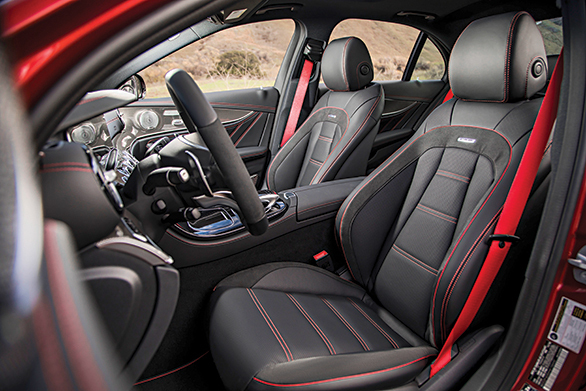 Inside the E43, not much changes over the standard E-Class and the look and feel has been retained, though it would take a keen eye to realise the leather upholstery is of a more premium quality. What you get additionally though are some delightful feature add-ons such as the flat-bottom steering wheel and sport seats with dynamic bolstering. When you push the E43 through a left-handed corner, the bolsters on the right wing of the seat flare up and provide additional support; a similar thing happens when you turn right. On the outside, there are a few touches like the front bumper with the three massive vents to feed air to the intercoolers, a diamond grille with chromed pins, the sportier AMG wheels, the spoiler lip on the rear boot and the quad tailpipes, which are all quick reminders that there is more to this E-Class than what's standard. This will also be the only standard-wheelbase version you can get of the E-Class since India only retails the long-wheelbase version at the moment. And still it's not a poorer-looking version of the E-Class. Even without the poise and grace of LWB version, there's a certain musculature to the E43 that is attention-grabbing. The E43 then is definitely for those looking for a Mercedes with a bit more character than the standard E-Class. There are better driver's cars out there, but none with the elegance and polish that marks out the E-Class range. Couple that with finer dynamics, a more aggressive engine and transmission, quicker performance and a sporty engine note and you have a good stepping stone into the world of serious performance cars. This middle-order AMG is finding a lot of favour globally, primarily also because it's more affordable than going in for the hand-built AMG numbers, and I suspect it will also find more takers here in India. We expect the price to be nearer the Rs 1 crore bracket; any lesser would be a steal, any more, highway robbery!